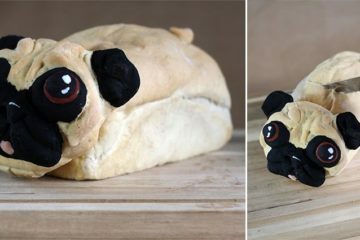 These kids might be brown-bagging it at school every day, but they're sure doing it in style. 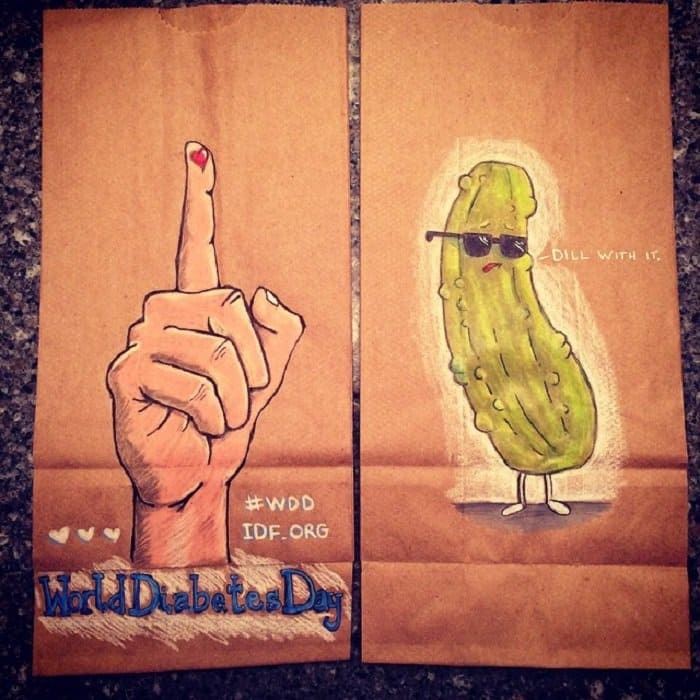 Christy Kilgore, a mom and graphic designer, illustrates the brown paper bags in which her two children, Ethan and Norah, take their lunch to school. 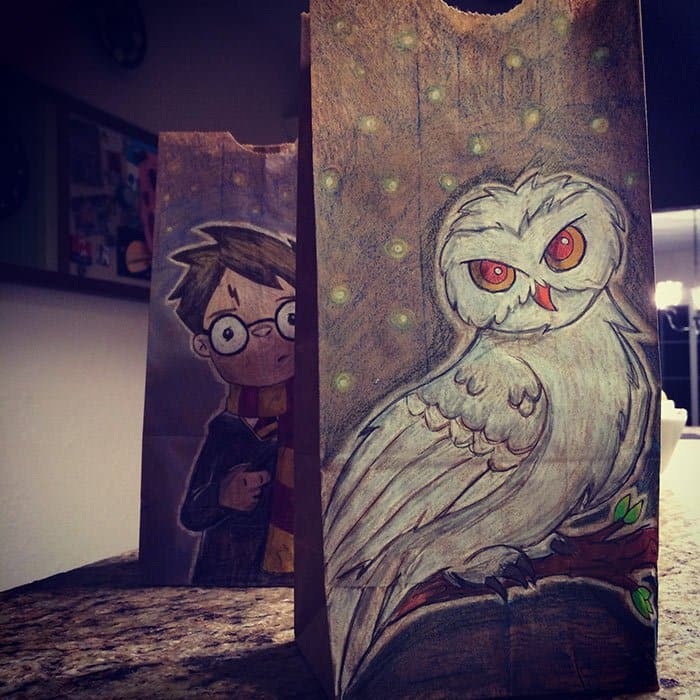 It's not unusual for parents to write a quick note or draw a little doodle on their kids' lunch bags, but Christy is taking it to the next level. 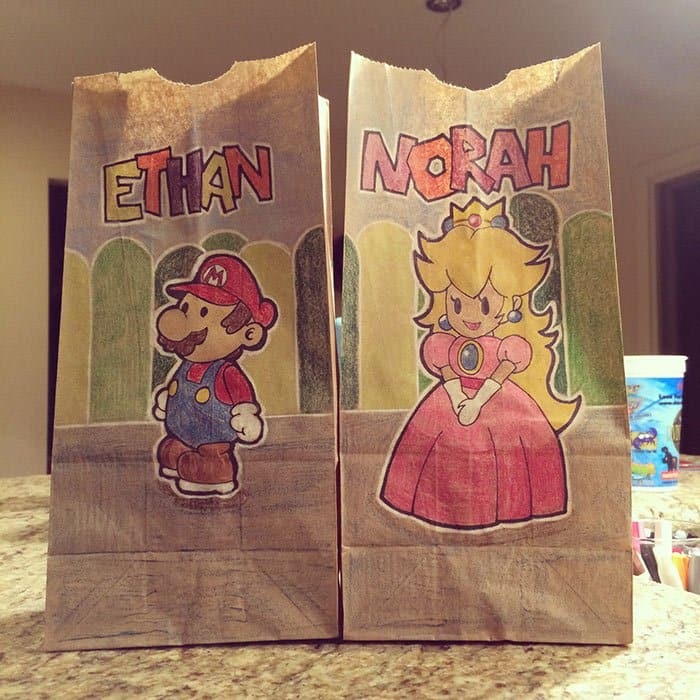 These brown bag illustrations are so awesome that Ethan and Norah must be the envy of their schoolmates. 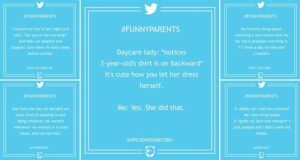 After a recent divorce, Christy has a little less time to spend at home with her kids, so she draws these lunch bags pictures after they go to bed as a way of bonding with her children and doing something special for them. 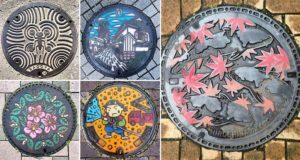 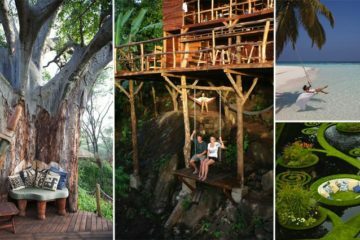 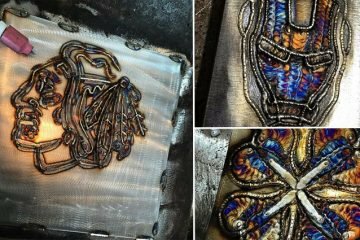 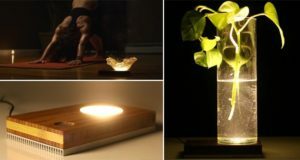 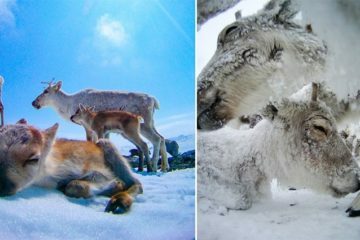 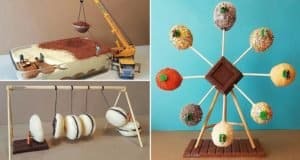 Christy has an Instagram account where she shares all her gorgeous creations with the world, but these are a selection of the most awesome ones. 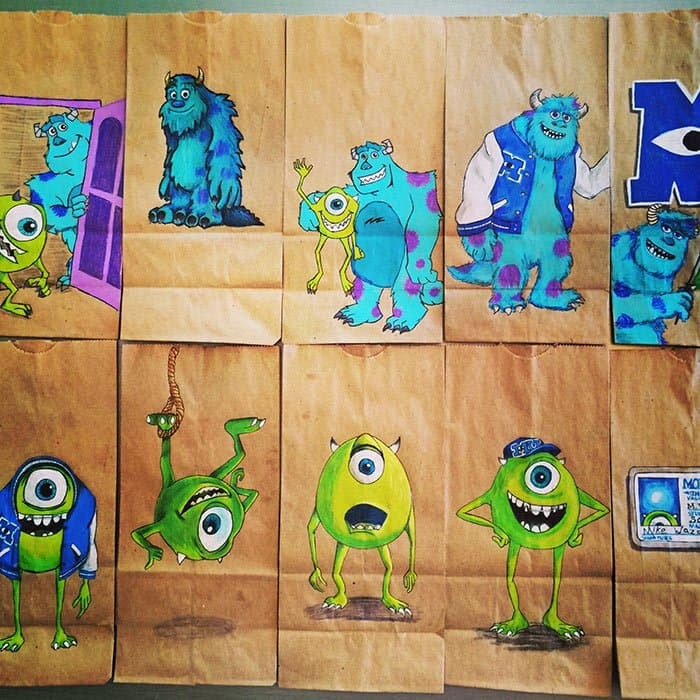 A cool collection of bags featuring Mike and Sully from Monsters Inc. and Monsters University. 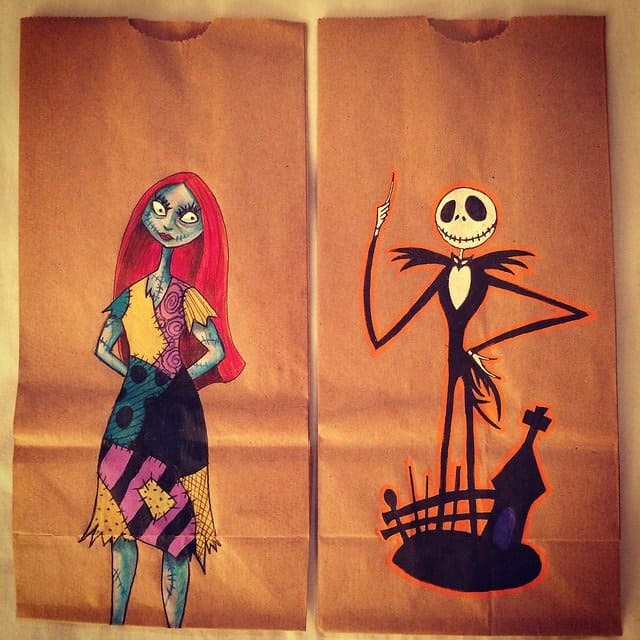 These cool Nightmare Before Christmas bags would make any kid's Halloween just a little more awesome. 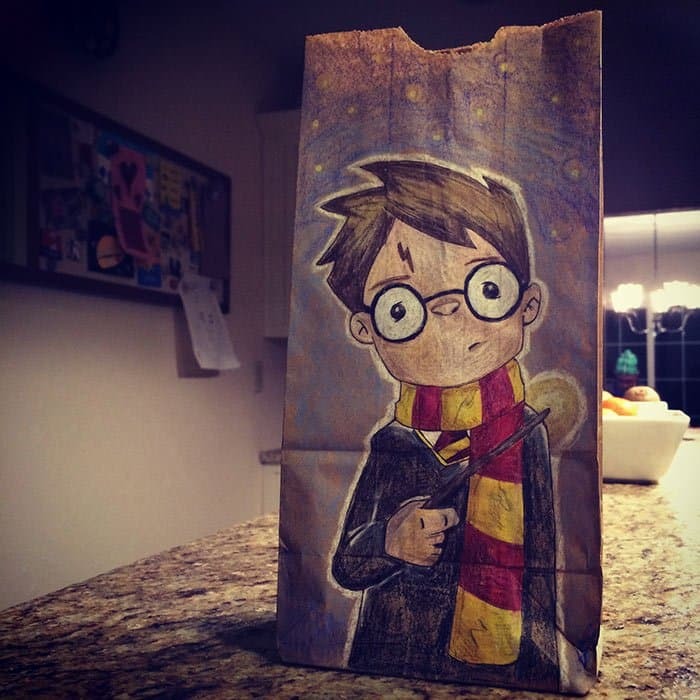 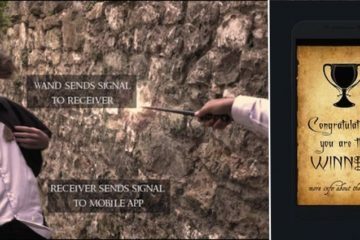 A truly magical Harry Potter bag. 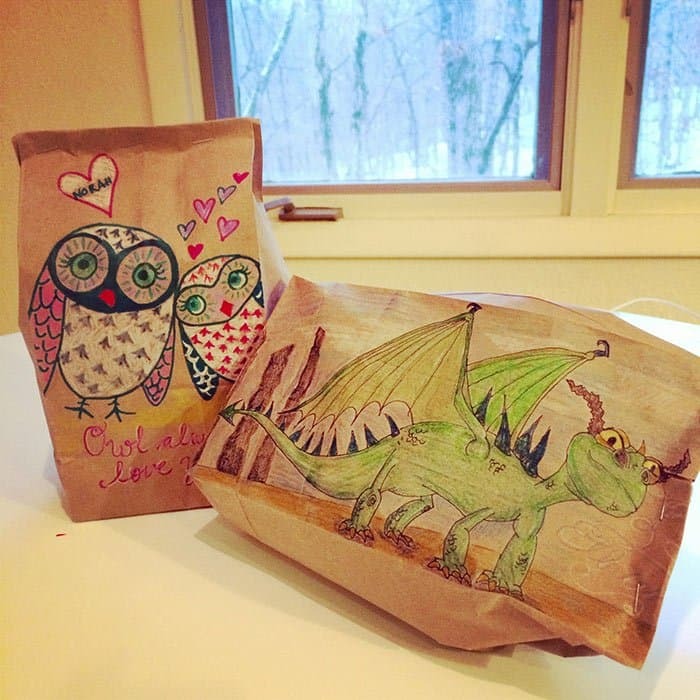 Owls for Norah and a dragon for Ethan. 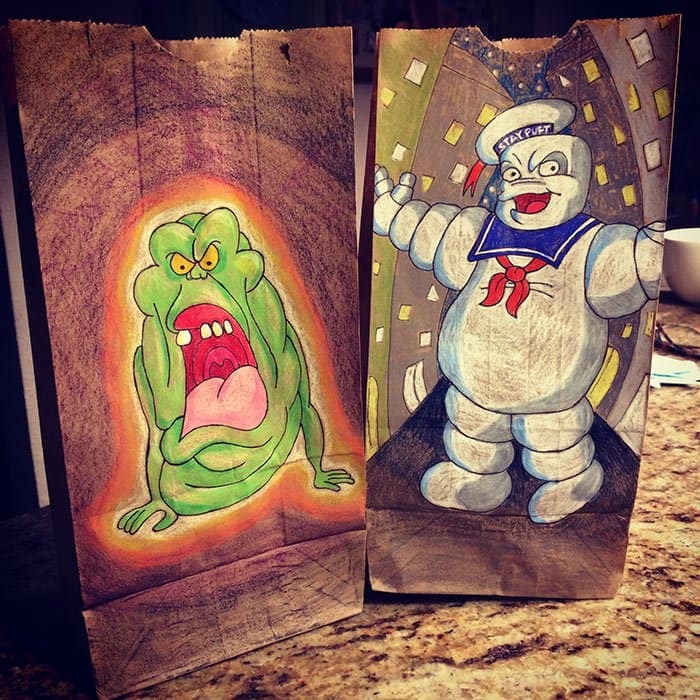 Cool Ghostbusters lunch bags, featuring Slimer and the Stay Puft Marshmallow Man. 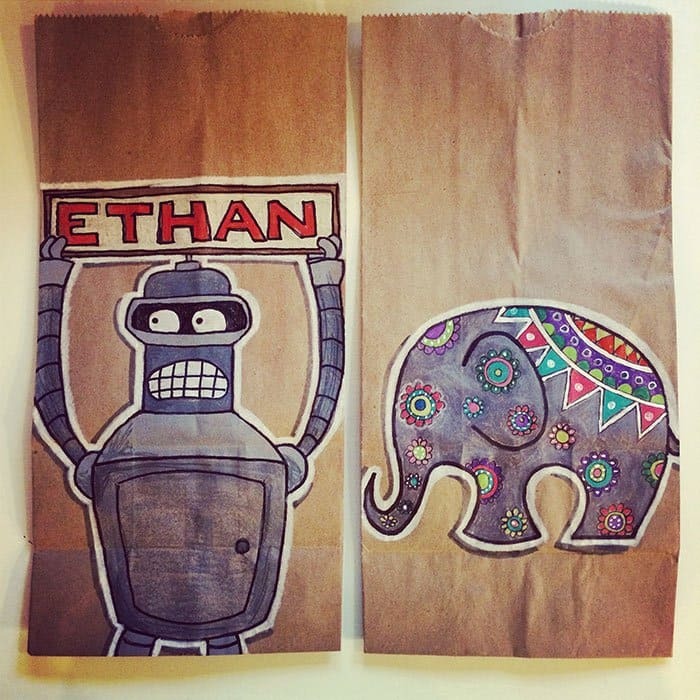 Bender from Futurama and a super cute elephant. 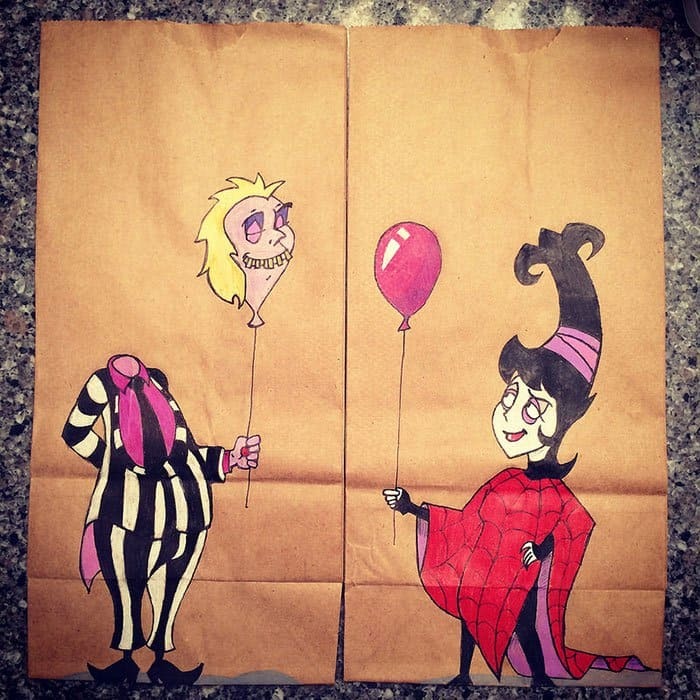 More spooky fun, Beetlejuice style.